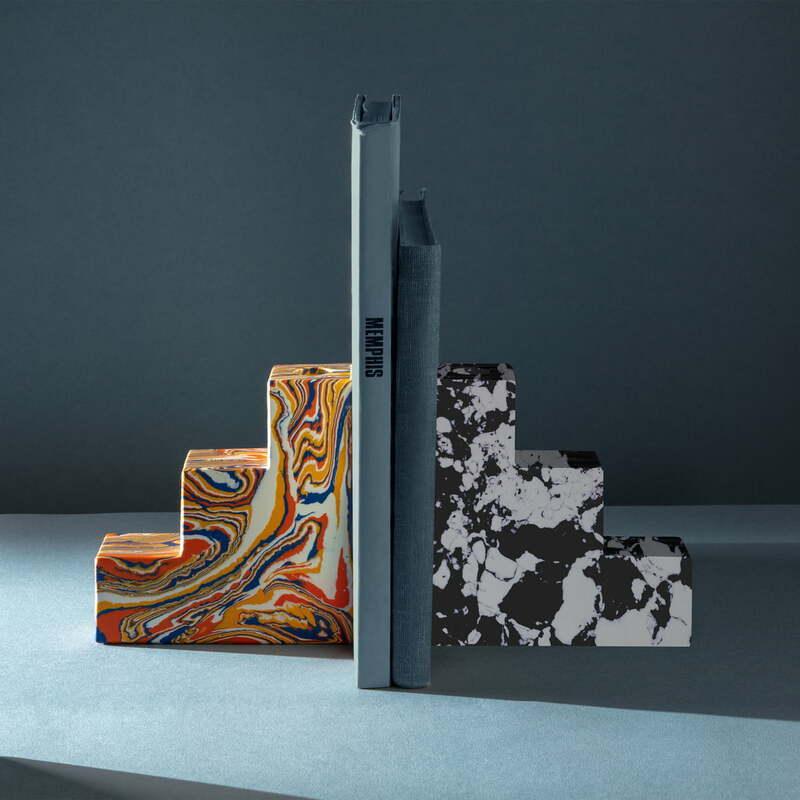 The Swirl bookend by Tom Dixon is a special accessory that will become an extravagant eye-catcher on any bookshelf. Made of marble powder, the bookend has a noble, high-quality and robust appearance. The bookend has a stepped shape with defined edges and is given an almost sculptural character, thus acting as a stylish decorative object. At the same time, it reliably fulfils its purpose and keeps books and magazines on the spot. The top step also has space for a rod candle. The bookend also functions as a beautiful candle holder. 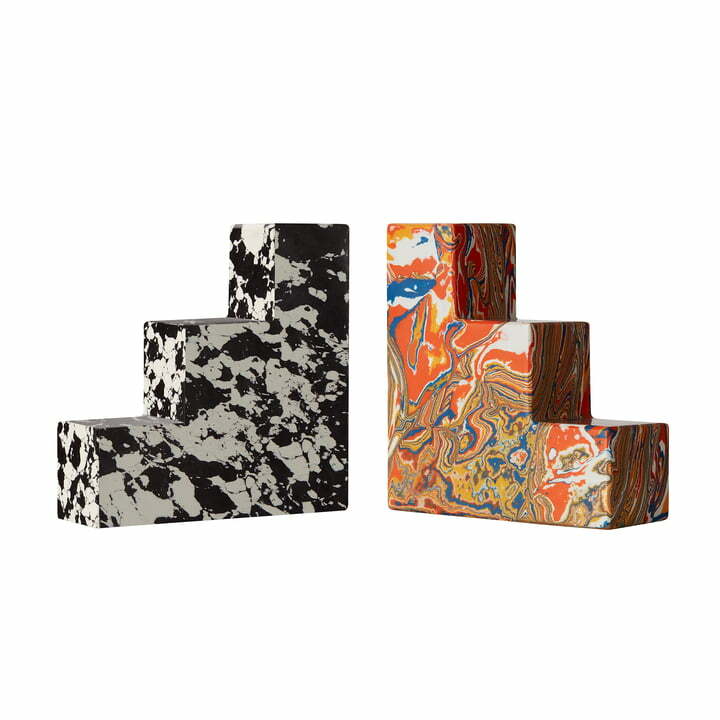 The marbling that lives up to the name of the bookend also stands out. The surface of the support appears like a swirl of colourful colours, creating a slightly playful note. The colourful bookend is a real visual highlight, especially in a simple ambience. The unique manufacturing process consists of recycling powdery residues from the marble industry and mixing them with pigments and resin to form material blocks. These can then be sawn, cut and shaped to their final shape on a lathe. 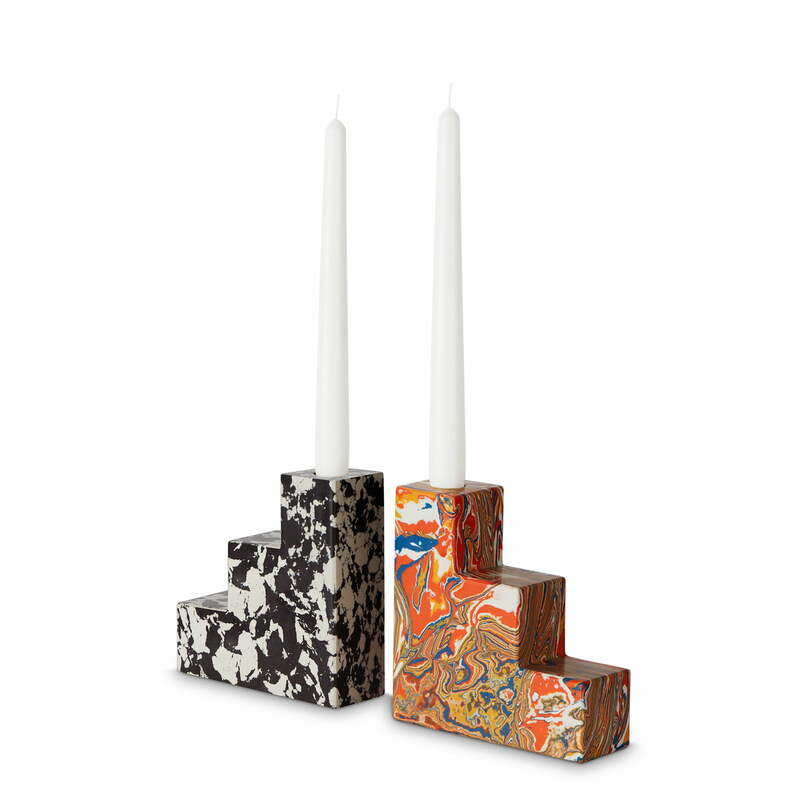 Swirl Stepped bookends in multi by Tom Dixon in single view. The bookends are made of marble and are available in various colours, which can also be easily combined with each other. Swirl bookends by Tom Dixon in the ambience view. The marble bookend provides a great eye-catcher on the shelf and keeps books in the desired position.